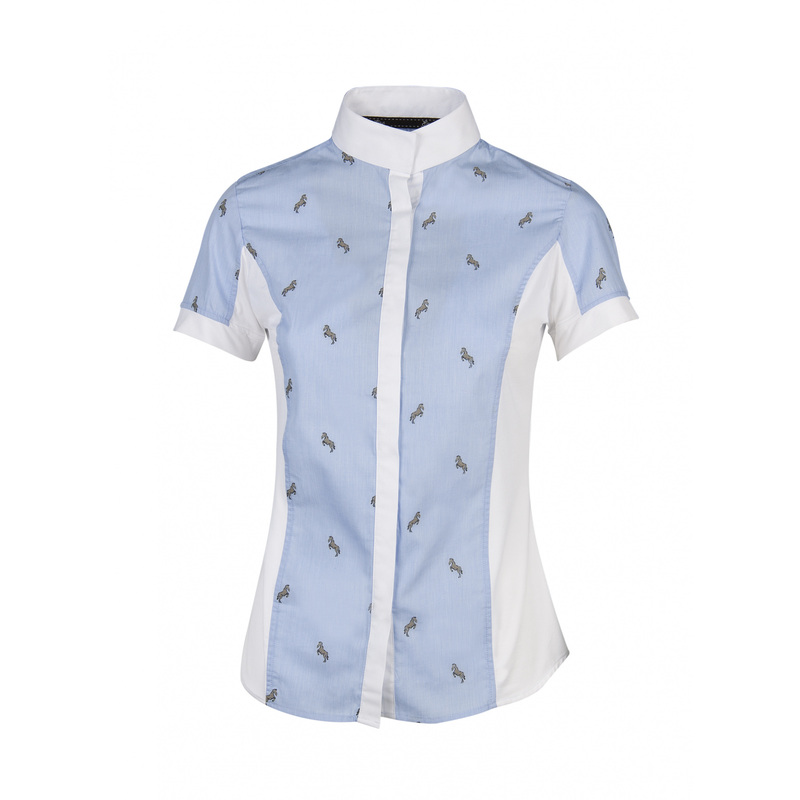 Ladies' show shirt with short sleeve. It is available in two colours - completely white, and with an equestrian print with horses' heads. 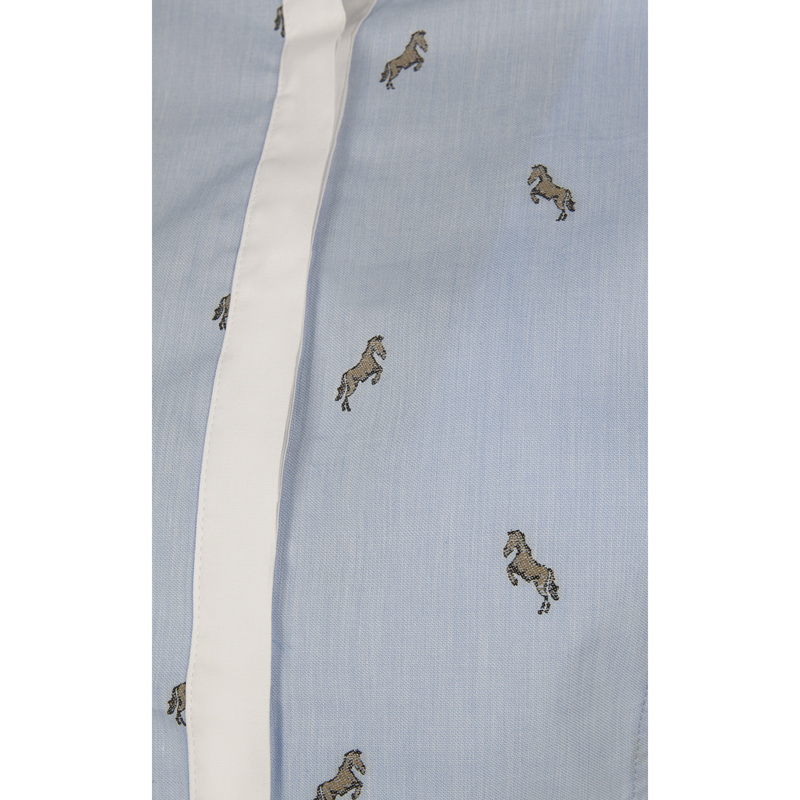 Both versions have a stand-up collar, stripe above buttons and white sides of the shirt. 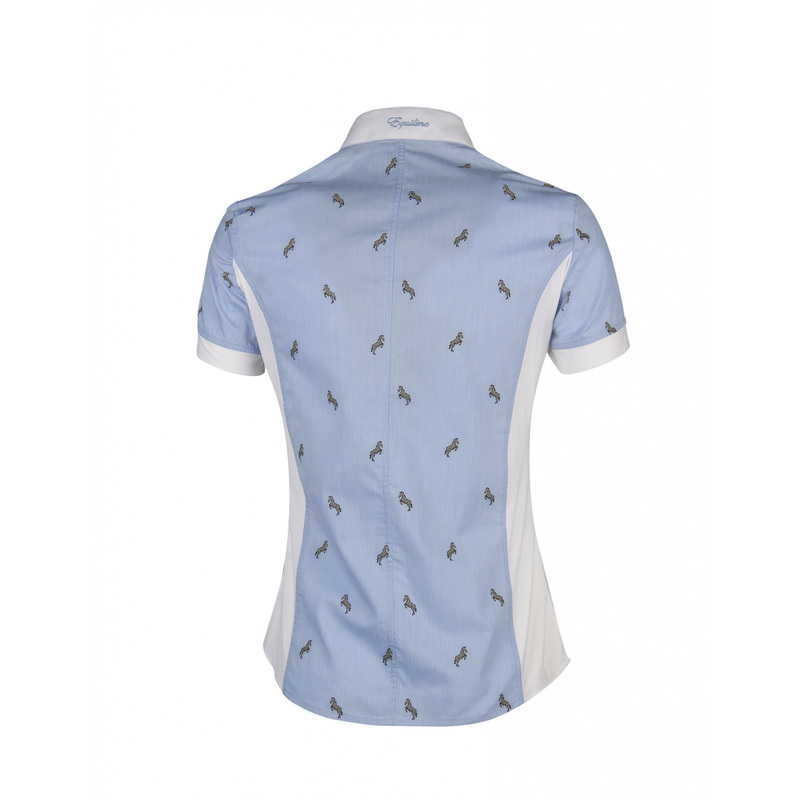 Edges of the sleeves and sides of the shirt are made of elastic stretch, which provides maximal comfort during competitions. An Equiline writing is on the back of the neck.